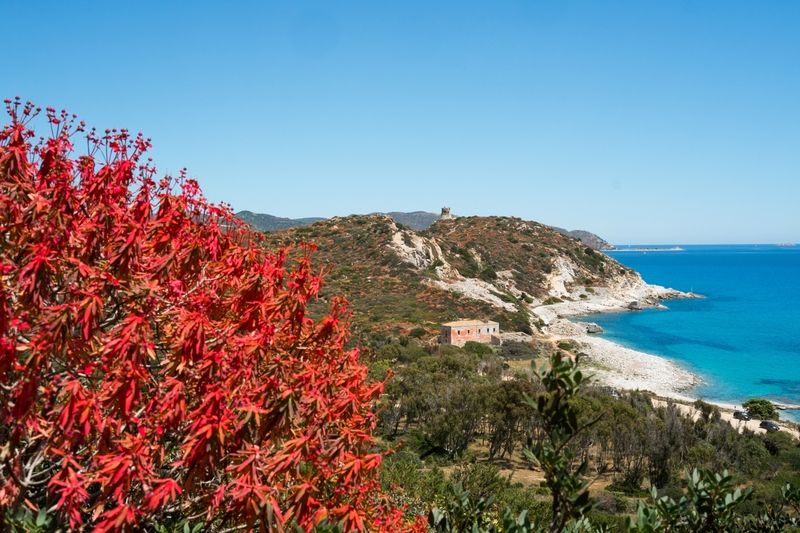 It will appear before you, in all its glory, along the scenic road that takes you, in approximately 40 minutes, from Cagliari to Villasimius, and is located a few kilometres before your arrival at the renowned tourist centre, set between the village and the beach of Porto Sa Ruxi and the beautiful Campu Longu. 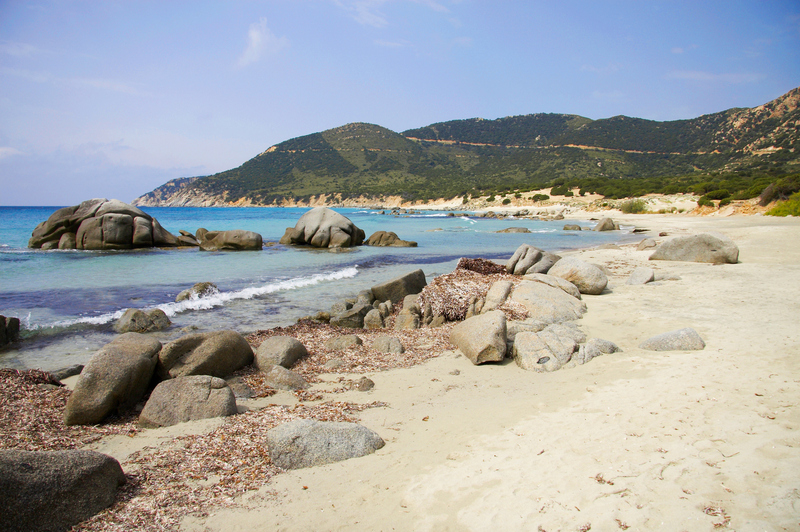 The beach of Campus is one of the pearls of the southeastern coast and is preserved by the marine area of Capo Carbonara: situated at the mouth of a small river, between reed beds and Mediterranean scrub that are very close to the shore, it is large and long, made of soft, golden sand, washed by a crystal clear, transparent sea with hints of green and a seabed that slopes gently out towards the open sea. Two small promontories enclose and shelter it, one of which separates it from the little beach of Cuccureddus. It is well-equipped and the ideal place for families with children and for less expert bathers who prefer to swim close to the shore, surrounded by multi-coloured fish. It is also perfect for those who love to go on long swims and walks. You can take advantage of all the amenities and services: a dining and refreshments area, bathing equipment, pedalo, canoe and windsurf rentals. 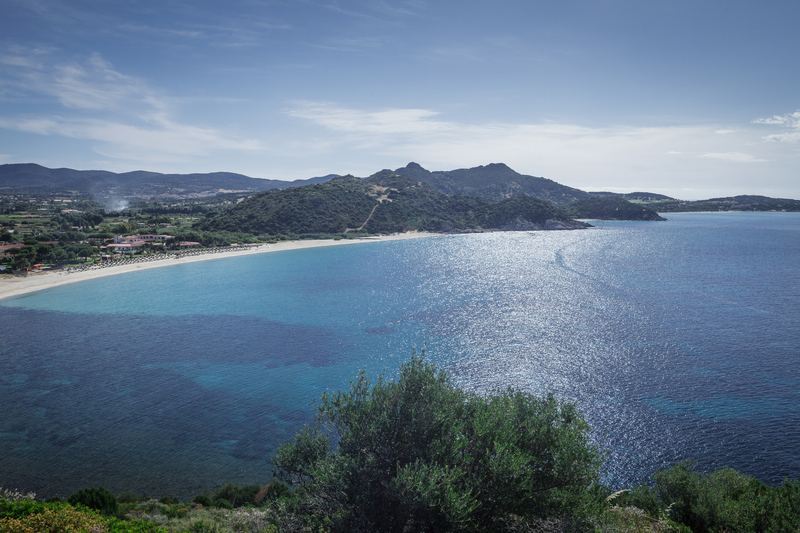 It is among the most beautiful beaches in the marine area, a stretch of coast 86 square kilometres long, from Capo Boi to the island of Serpentara, including the Isola dei Cavoli, which has dozens of gems to offer, to the west of Capo Carbonara, the previously-mentioned Porto Sa Ruxi and Campolongu, and then the magnificent beaches of Riso and Cala Caterina, while to the east: the unique sight of Stagno di Notteri, Timi Ama and Porto Giunco, the beautiful Simius and Traias. 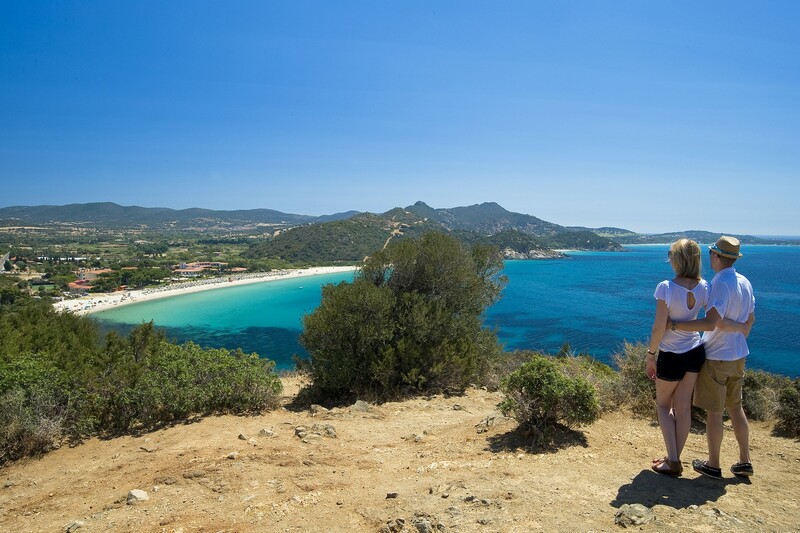 Continuing north in the direction of Castiadas and Costa Rei, you will encounter Rio Trottu and Manunzas, beaches that frame the incomparable promontory and beach of Punta Molentis. 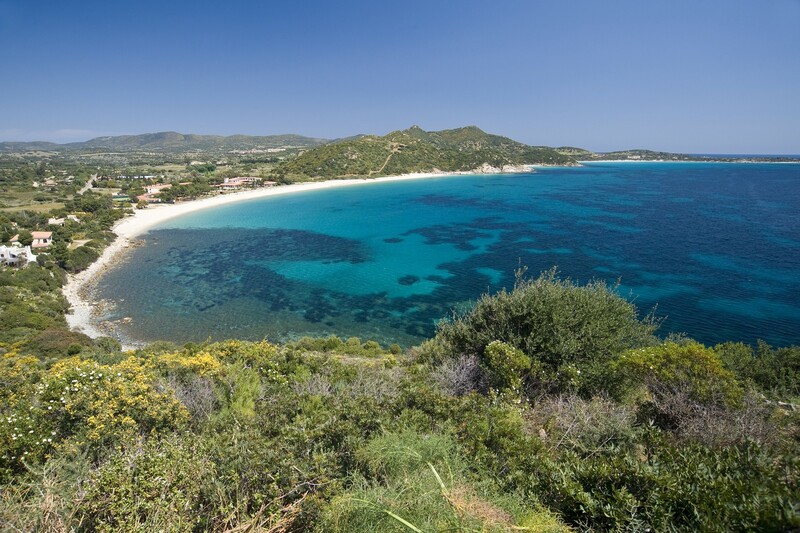 The beach can be reached by leaving from Villasimius: it is found in the vicinity of Capo Boi, signposted along the roadside. Do you like this place? 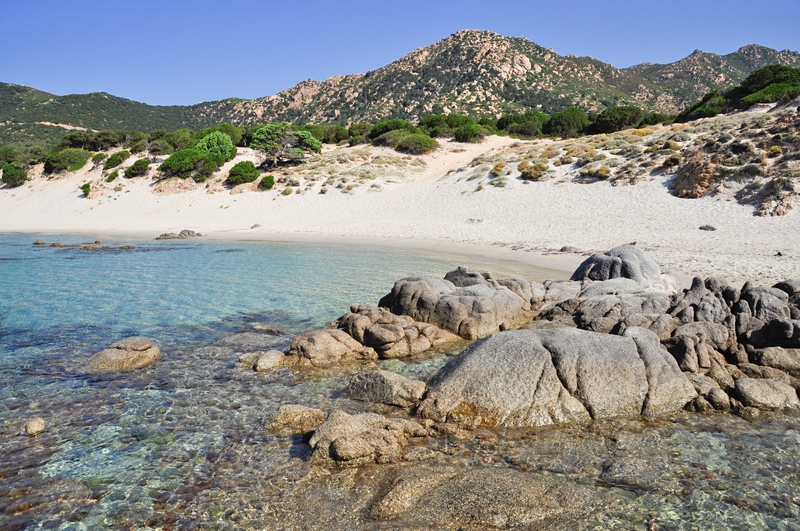 Cagliari and Villasimius could be your ideal destinations.